The University maintains strong links with the hi-tech business cluster of more than 4,700 companies which has sprung up around the Cambridge area. The new research and collaboration team – expected to be based at the University’s Maxwell Centre – will further harness the combined strengths of industry and the very best in academia to strengthen the area’s position as one of the leading technology hubs in Europe. Following the signing of a Memorandum of Understanding today, the new group is expected to kick off research activity in the first half of 2018 with five to ten researchers from BT and Huawei working alongside their University collaborators. 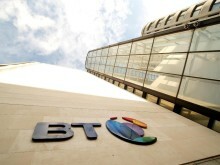 Gavin Patterson, BT Group Chief Executive said: “BT’s fixed and mobile infrastructure is the engine of the UK economy, so it is essential that we continue to innovate in this space to enhance the UK’s competitiveness on the world stage towards and through Brexit. Ken Hu Deputy Chairman and Rotating CEO, Huawei, said: “Technology is changing the world faster than we have ever seen. It will bring many benefits to mankind, and affect nearly every aspect of our lives. Huawei will continue to invest and form partnerships to build out future infrastructure. We have over 80,000 people in research and development globally, working with customers, universities and industry bodies. 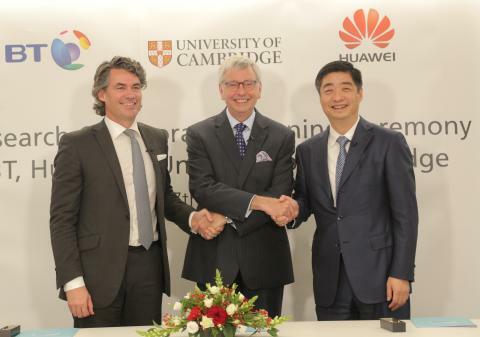 Both BT and Huawei have a long history of working with Cambridge on research projects. Researchers at the BT Labs in Adastral Park recently collaborated with the University’s Cavendish Lab on a project to assess the potential theoretical speeds that can be delivered over the UK’s access network infrastructure. Huawei and the University of Cambridge have been working together for seven years on range of successful research projects including media, communications and other technologies. BT has opened a multi-million pound Innovation Centre in Belfast, which will play a crucial role in its global research and development capability, focusing on advanced research into the Internet of Things, cyber security and 5G communications . 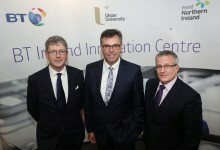 Invest NI has offered support of £9 million for the creation of this world-class R&D facility, which will see BT working with Ulster University.